Taking any particular horse from shoes to barefoot can take some time. A few horses will trot off barefoot on rocks and you will wonder why you ever put shoes on them. Many horses will be tender on rocks and hard ground at first. The most important part of the transition to barefoot is getting an appropriate “barefoot trim” done on your horse. 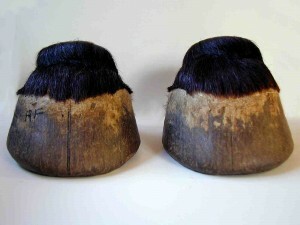 The typical “pasture” trim will not keep a barefoot horse sound. The Mustang is our best example of how healthy and hardy horses can be barefoot. Wild mustangs live on very hard ground, often extremely rocky ground. They also cover from 20-30 miles daily looking for food, water, and avoiding predators. Mustangs have excellent hoof conformation with short heels, a dubbed toe, large frogs, and short bars. Mustangs are almost never seen with a hoof deformity or lameness. However, our domestic horses ARE NOT mustangs. Not all horses live in arid rocky climates. A rider’s goals, their horse’s genetics and the boarding situation will make the difference in just how far an individual horse can go barefoot. A horse that is stalled the majority of the time may have problems living a barefoot lifestyle. Bare feet are natural, stalls are not. Historically horses were ridden and used barefoot until a variety of husbandry changes occurred (stalling, diet, genetics) caused shoes to become necessary. 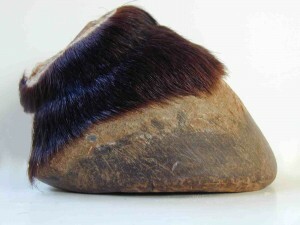 Stabling conditions cause the feet to be exposed to extreme drying situations (bedding) which then became wet situations (soiled bedding) while minimizing hoof mechanism due to the restricted movement. 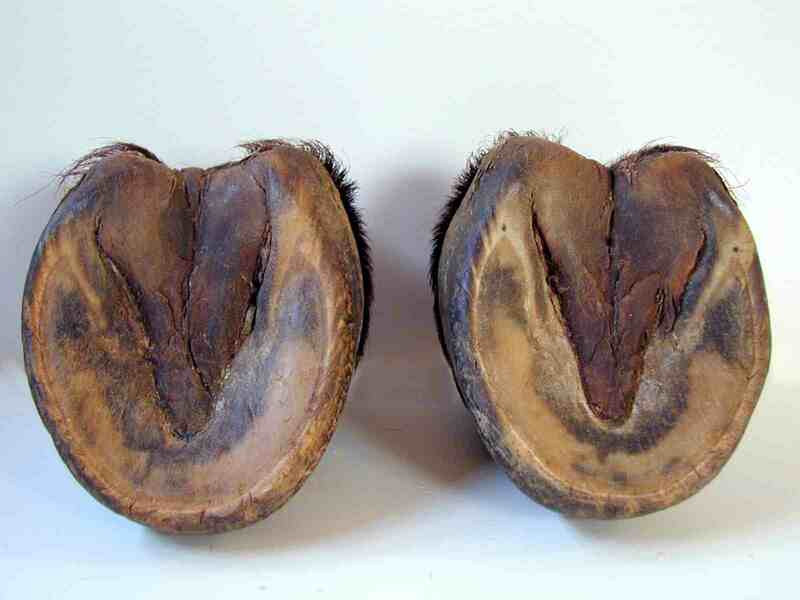 This leads to deterioration of the hoof wall and form, thus bringing about the practice of shoeing to keep them protected. The more turn out and exercise your horse gets the healthier their feet will be. Horses that are primarily ridden in sandy arenas, or on soft trails may not need shoes. Horses that are ridden long distances on rocky or hard terrain will need more effort to ride barefoot, though it is often possible. Many disciplines will require shoeing for competitions or training as they are very different from what “wild horses do”. For example, a reining horse will need shoes on the back feet in order to slide without abrading their back heels. Event horses who may jump large fences and make tight turns in mud often need shoes and removable studs for safety. Barefeet have BETTER traction than shoes in most footing circumstances (rock, roads, firm ground). But when the mud is 6″ deep, there is no barefoot approach to over come it.